When you’re already on a tight budget, finding ways to be even more frugal is difficult. I’ve read countless articles and most give the same advice: live debt free, buy store brand groceries, eat at home, buy secondhand. If you’re already doing those things, how in the world do you save money? How do you trim an already slim budget? As I stared down at my growing belly, I couldn’t help but worry about that very question. In less than 6 months, baby #4 will make his/her debut, and I had no how I’m going to pay for daycare much less basic necessities like diapers and formula. After some pretty extensive research, I’m pretty sure I’m still going to be cutting it close, but I like to think I’m a pretty resourceful momma. Every year I spend a good portion of my tax return at the wholesale grocery, and I use it to stock up on things that I continue to use throughout the year. Using a vacuum food saver my mom snagged at a thrift store, I snag fish, poultry, and beef on sale then individually package and freeze it. I also purchase gigantic boxes of pasta, a 25 lb box of rice, canned fruit, spices, bouillon cubes (cheaper than buying stock), and anything else that is either shelf or freezer stable. Outside of groceries, I often will purchase giant boxes of toilet paper and cleaning supplies. I do purchase paper towels, but I regularly cut old shirts and towels into washcloth or hand towel sizes to use for cleaning. This greatly reduces how many paper towels we go through. I already have a small grocery budget—I aim to spend $100-150 max to feed my family of 4 every week—so saving money on groceries can be tough. I’m also already shopping at places like Aldi and buying store brands. To further save I cut all meat portions in half and increase vegetable and starch portions. I can save anywhere between $1-5 per lb of food this way depending on what type of protein we’re eating that night. I also shop for cheap cuts of meat like chicken thighs and legs, clearance marked beef, and assorted pork chops. Instead of serving plates of food to my entire family, I serve all of our meals in large dishes at the table. We call it eating family style and take turns passing food and sharing what we’re grateful for each day. Not only does this save time because every person is responsible for serving themselves, but we waste a lot less food. The kids only get the food they’ll actually eat and at a portion size that matches their appetites. What do I do with our leftovers? Easy! I save those for the toddler’s lunches that week. Most food keeps for 3-7 days in the fridge, meaning I don’t have to buy baby food. I can’t tell you how much time and money I’ve saved by using the free nurse hotline that Cigna offers. Many insurance companies offer the same service, and it is invaluable! I use it any time the kids are sick and may need a trip to the doctor. I give the nurse line a call, go over the symptoms, and get an informed opinion on whether an appointment is actually needed. Of course, always go with your gut, and I hope you never have to be in the position of choosing between your finances and your child’s health. That said, there is sometimes nothing my pediatrician can do, and the nurses have often helped me identify when this might be the case (which saved me the cost of our co-pay), given me remedies I can try at home to soothe my child’s symptoms, and let me know what signs to watch for that might signal the need to head to the doctor after all. Years ago, we made the decision to ditch our cable completely and stream only. Already Amazon Prime members, we now only pay for Netflix and HBO as an add-on to Prime Video. All of my kids’ favorite shows are on Netflix, and between Amazon Prime Video and HBO, we are never in short supply of rent-free movies to watch on Family Movie Night. Win-win! Instead of paying for one-off activities a few times a year, we have a family membership to our local science museum and amusement park. At roughly $100 a year for a membership to Fernbank Museum of Natural History and just $20 a month for a membership to Six Flags, this saves us hundreds of dollars a year in activity costs. I plan these expenses around things like year-end bonuses at work or tax returns so it doesn’t affect my monthly budget, and we enjoy a greater variety of activities than if we had just the neighborhood park alone. Need more tips on saving money? Read 7 Ways to Save BIG on the New Baby if you’re looking to save money in preparation for a new baby like me. Check your library for museum passes- they’re free! What a great suggestion! Ours doesn’t have any, unfortunately, but I’m glad to know others do so we can keep a lookout for them on our next visit. These tips are really good. I’ve been shopping at Aldi’s and it does help save you money. I agree with ditching cable; we did last year and now steam our DirecTV service for a much better price! So so clever! I genuinely love the ingenuity of these ideas! These are great money saving tips! I definitely agree with you on the streaming over cable, it’s much cheaper! These are great ideas. I love the habit of serving family style. I never considered that it would waste less food. My kids can be so picky some nights and hardly touch their food. We’ll have to try this. Yes! We usually end up spending it on groceries in bulk and any overdue medical bills that we just couldn’t squeeze into the budget. It’s been really helpful month to month. Love your money saving ideas especially the Eating Family Style. We have never thought of calling a nurse hotline! Thanks for sharing! fantastic tips – love the idea of eating family style. I do notice we seem to eat less like this as you say you just take what you want rather than thinking I must clear my plate. I grew up where we served ourselves at home and had to clear our plates at my dad’s house. It was really difficult to get away from that mindset as an adult, and I remember a lot of nights feeling overly full or staring at my cereal bowl and wishing it was finished already. We never wanted our kids to have such a negative view of eating, and we find that we waste less food, have less fights with the kids, and are teaching the kids portion control when we eat this way. I like the idea of family shared meals. Indeed you can save money through the leftovers. In my family we usually have Sunday dinner like this, when we invite friends over. The leftovers become a meal for the following week. Great tips you have there to save money. I love the adjust meal proportions, I alway think we dont need to eat so much, it can help to slim down too. You’re welcome! 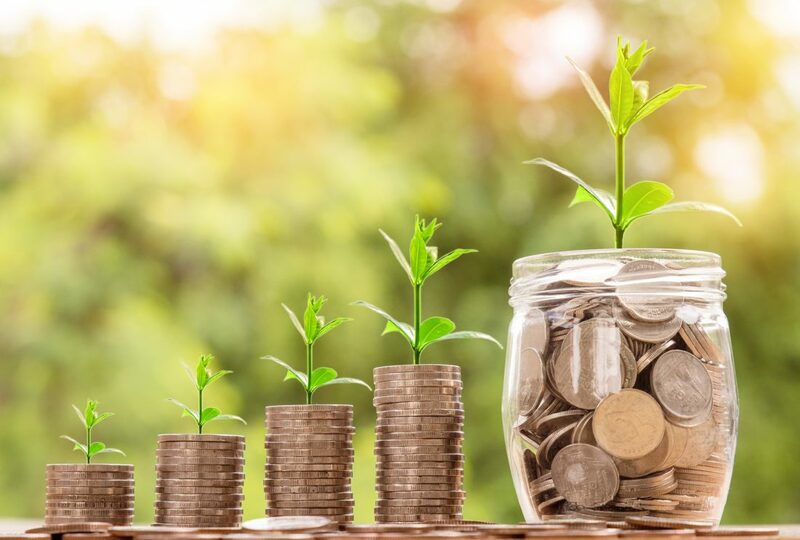 It can be so difficult to find ways to save money when you’re already on a tight budget, so these are some of the things we’ve done to further economize. Super cute business. Glad I found you! I will be sure to watch you online! I love the streaming tip! I currently am subscribed to Hulu and Showtime with the student account for $5.99 and I get Netflix free by being a mobile customer. That’s all I need! 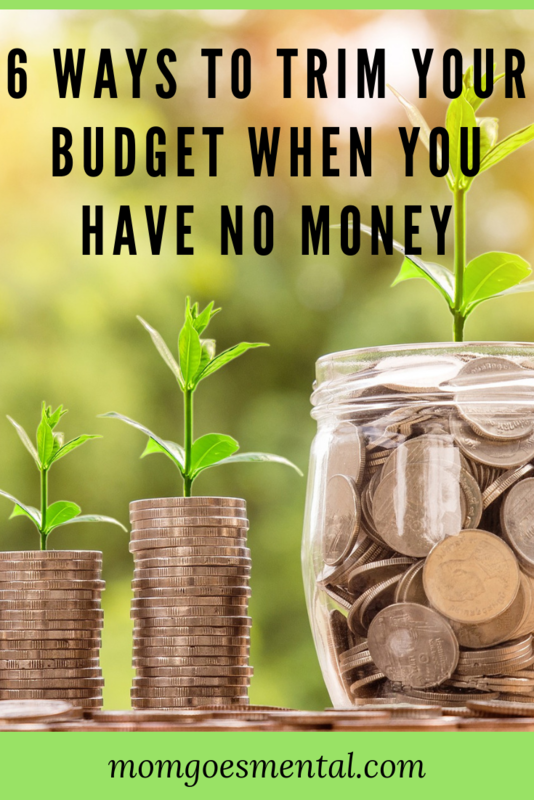 These are some fantastic tips 🙂 I have never been good at working with a budget, so I will definitely keep these in mind. I used to be terrible at budgeting, but now I use Simple bank. It lets me create goals and bills that I use to put money away before I even know it’s there. I love that it shows me a “Safe to Spend” amount after everything is set aside. So much easier to stick to a budget now! Some good tips, I cut down on meat too, lentils in with mince is a good way to stretch a meal. Oh yes! I love using lentils. They’re fantastic to cut ground beef in half in chili. I love it! It’s amazing how much you can save when you really start to look at what you spend and where you can cut.